This article addresses a personal perspective from a person who has worked in pharmaceutical and medical research for many years. First, the disclaimer. If by some chance you the reader happen to see through my pseudonym, and you know who I am in real life, my thoughts, views and opinions are my own and do not directly represent any company I currently work for or have worked for in the past. Lawyers and HR are appeased. Why am I posting anonymously? What am I trying to hide? Nothing. Really. I promise. Even with the disclaimer above, every company has a social media policy that strictly forbids anyone from speaking on the company’s behalf, even if you swear to the bobblehead Jesus on the dashboard that your views are your own. If you do or say something while wearing your company’s logo, they can and will fire you. There is another reason I am posting anonymously. I am going to say some nice things about big Pharma and name names. Saying anything nice is usually followed by a statement saying, “You must be a paid shill.” Well, if you are posting anonymously, how will they know where to send the shill check? I do not get paid anything near what I should be paid while doing my job. “So who are you and what qualifies you to open your yap?” That’s a fair question. My answer is quite unimpressive. I’m nobody really and being nobody makes me the perfect somebody to talk about the business and values of big pharma companies. Even scientists get this wrong if they’ve never worked in a pharma lab before. Of course they know the science, but they don’t know the business. Come with me on a short trip through my background. I have the most unimpressive associates of science degree from a defunct private college that was shut down by the Dept. of Education for student financing fraud and misrepresentation of academic credentials. In other words, the $15K I spent getting an AS degree does not count and the degree is not recognized. I started out in physics which led to quantum physics. At the time, I was still young and had not yet learned to tell the difference between the science of quantum physics and new age garbage like “The Secret”. I explored acupuncture, chiropractic and homeopathy because the idea of energy transfer made sense to me. I did not understand how it worked until my views matured through education and practical application. I used to believe all of these things. All of these statements are ignorant. It is not my intention to offend because I called pet beliefs “ignorant”. I did not say “stupid”. Ignorance comes from lack of experience or knowledge. “Stupid” is holding onto a belief in spite of knowledge to the contrary. I’m going to help with the ignorance, so let us not be stupid. I have been in this line of work for a very long time. To maintain my anonymity, I am not going to discuss specifically what I do, but I will tell you generally what I do. A couple of years ago I gained employment as a full-time employee for a company that provides a support service to many different pharma companies. The list of names of the pharma companies I have worked for these past few years. For each of these companies I have both an email address and a badge. This alone is maddening. I have to stay current on safety and regulations via online training all the time. It is frustrating to me because it is the same information with every company. Some companies are so siloed I have to take specialized trainings based upon individual campuses within the same company! But I digress. The point is that I have a lot of experience working in pharma. In some cases, I know more than someone who works in one place for 5 years. What I do (generally speaking) is help scientists with instruments, software, computers and science methods. I spend a lot of time with scientists both in the lab and out. I know them as people. I know their children and families. I know their pets. I also know their frustrations, their regulations, their FDA audits, inspections and have been written up for running in a lab to put something on a bench, right by the door, without my lab coat and goggles. It is amazing how overly regulated some of these labs are. The “thought” police and “grammar” police are real things. Entire studies can be scrapped if one procedure isn’t followed to the letter. I’ve seen scientists fired over it. Not all labs, but in highly regulated labs, it’s walking on eggshells. One crack and you are gone! Usually in pharma there are 2 kinds of labs, R&D and GxP. R&D stands for research and development. Generally, these labs do experiments and proof of concepts. They are more relaxed except when it comes to animal research. Animal research is a no nonsense environment. The animal research scientists love on these animals like pets! It’s not the cold, insensitive, stoic environment I had expected. They give them names, treats, toys, and cry real tears when they have to “sacrifice” one of their animals for science. I have helped give genetically specialized rats endometriosis. Before passing judgement, find a woman with endometriosis and listen to her tales of pain, suffering and infertility. Realize if it is a choice between your girlfriend, your sister, relative, or friends, you may choose to experiment on the rats. Think of rats like soldiers. Nobody likes war. They go defend us so we don’t have to fight. We say “thank you for your service”. We can thank these rats for their service. Because of them, we have drugs to help treat endometriosis. Since costs are a bit part of why I am writing this, I feel it is important to mention that these rats are not typical roof rats and field mice. There are no traps set to capture wild rodents then make them our slaves for evil mad science. These rats are specially bred. Some have human DNA. No, not like the cartoons Pinky or Danger Mouse. They may have human skin or human tissue as part of their organs, but that doesn’t make them humans qualified for human rights. Just one of these specially designed rodents can cost as much as $2000 each. These creatures are born in the lab, die in the lab, and would never survive in the wild. They are not wild. Now apply this thought to an entire vivarium filled with hundreds of rats and mice. Hold onto this place as I will come back to it when I talk about the “symptoms vs cures” mentality. These instructions tell step by step, how to do the task that is required. There are SOPs and work instructions for handling errors, writings reports, generating and storing data. Before allowed to work, classes must be taken or paperwork signed acknowledging a particular WI or SOP. Some of them have absolutely nothing to do with the job but because I am working in a lab where they are important it is my responsibility to read and understand them even if I will never be doing anything specified in those documents. It’s a lot of frustrating regulations. All of these regulations and best practices cover everything from what kind of pen to use to how to wash your hands. They exist because we are making things meant to go into your body, either orally or by injection. On average, it takes 10 to 20 years for a drug to go from idea to bench, then to treatment. Even with all of that work, we still have treatments that are not appropriate for some people in the form of unfortunate side effects…leading to the law offices of Sokolov and Sokolov, product recalls, etc. Recently Merck recalled a batch of drugs because of a manufacturer error. Before working in this field, I would have immediately thought something dark and nefarious was at hand. After having spent time in this field, I understand it is because a different instrument was used, or some firmware update was applied without proper procedure being followed. The product itself was probably fine. However, since its safety couldn’t be guaranteed because of a software issue/instrument/etc., it had to be pulled from shelves. The cost to ensure product safety through strict regulation is high. Just recently I spent $452 on a cable for an instrument that would cost me $12 at Best Buy. Why? Because of GxP and lawyers. If a keyboard and mouse need to be replaced on a computer which controls a GxP instrument, there are literally layers of signatures and approvals that must first happen. It can not be just any keyboard and mouse to pick up at a local store. It must be a “validated keyboard and mouse” from a special distributor. Instrument costs: I work a lot with instruments like gene seqencers, robots, analyzers and spectrometers. Just to give an example, I work with an imaging microscope that costs upwards of $20,000. Even a small lab has on average $500,000 to $1,000,000 of instruments. There are instruments in labs which get turned on only twice a year. Can other labs in the same company use them? Well yes, no, but maybe? It is complicated because of the SOPs and GxP. It is not just the cost of the instrument, there are costs for salaries, manufacturing, safety, and inspections. Further costs are found for research, costs for sales and advertising, purchase orders, accounts receivable, lawyers, accountants, human resources. Running a business is expensive. 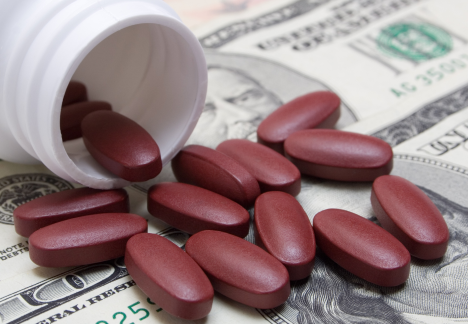 Running a pharma business is ridiculously expensive. The costs of the drugs they manufacture are not the sole discretion of the companies themselves. Even the cost of pills is regulated. So let me bust the first myth – this idea that it’s more profitable to make treatments that treat symptoms than cures. Let us start with the expiration dates on drugs. I’m involved with studies that have been going on for years that measure and track how the components of a drug break down over time. The studies started before I began work, and they will continue long after I’ve left. This research is expensive. I have spent a considerable amount of time explaining all the costs that pharma companies get charged and spend for equipment, people and regulators. It is much cheaper, and more profitable to manufacture cures than treatments. Cures do not mean a condition will be completely eradicated. It simply means the people afflicted with certain ailments can be cured of whatever it is that ails them. We are not “putting ourselves out of business” by making cures. This leads into our next myth “Pharma companies are to blame for the high cost of life saving medications”. Not going to spend too much time on this. See above. It is not all our fault (as I have described). There are many costs associated with drugs that pharma companies cannot control. We have to pay bills like everyone else. Let us think about this for a minute from within the context of everything I have previously shared. Many drugs, down to simple aspirin are derived from herbs and natural substances. Aspirin is really acetylsalicylic acid and comes from the leaves of the willow tree. It is cheaper and more profitable if we do not have to synthesize everything in the lab. How are going to GxP a tree? The tree has to be grown in a specific farm in a specific set of soil with a specific kind of water and treated with a specific set of chemicals. It is then harvested by a specific set of people who will have to take classes and recertify every year. Still, from a business perspective, it is more economical to spend money on what you cannot get from nature rather than spending money trying to duplicate what nature has already done. This does not include the manufacturing process if we can improve on it. So instead of having to boil the branches and leaves of 500 trees to get one cup of drug, we develop a process for synthesizing the drugs into a pill with a fraction of the dose…More product at less cost. I hope I have clarified a few myths and misunderstandings. If you have the chance, spend 6 months in an internship or co-op program and see for yourself. It is not at all what you would expect. *If you would like to contribute to my “Guest Articles”, please contact me here or on twitter.